Upgrade your home brewery from brass to stainless steel. This Stainless - 1/2 in. MPT x 3/8 in. Barb is for insertion into stainless ball valve for connecting 3/8" ID line. 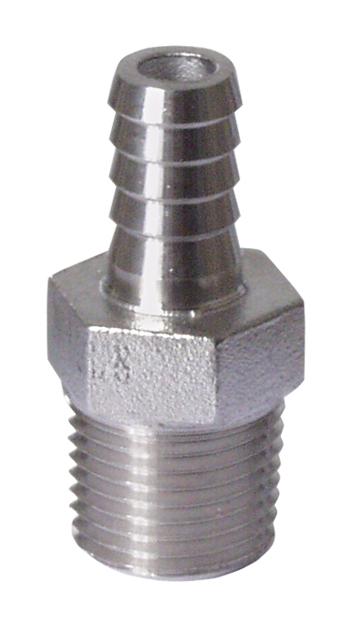 This is a heavy duty fitting at a great price. Size 1/2 in., 3/8 in.